The Social Democratic Liberal Party Management Board is expected to meet today and decide on the position of the party leader. 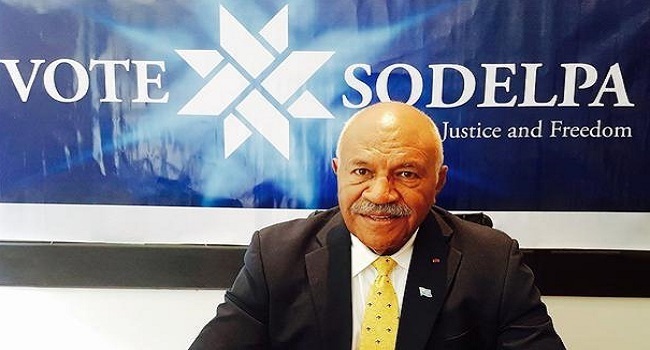 The current party leader Sitiveni Rabuka is expected to vacate his position as the party was unable to win the election under his leadership as stipulated in its Constitution. The Constitution states that if the Party does not win the outright majority in the General Election, the Party will appoint a new leader. According to the party, Rabuka has not tendered his resignation and it’s highly likely that he will be nominated again for the post. Speaking to FBC News, Rabuka says the decision will have to come from the management board if he will have to continue as party leader. Meanwhile, Rabuka says he will not be the Opposition leader for now as this will have to be selected during the first parliamentary sitting.